An Italian mamma once told me the following expression: “Puo’ essere soltanto un pasto semplice di spaghetti e pomodori, ma se ci sono gli amanti, e’ il pasto piu’ buono che esiste.” (It may only be a simple meal of spaghetti and tomatoes, but if you’re loved ones are there, then it is the best meal in existence). Never have I seen a culture who embraces the sentiment of that statement as much as the Italians. I’m sitting back at Villa La Scelta, and it feels like a weird time warp. Instead of making sure that Olivia is fed and that the “grown-up” dinner is started, I’m sitting on the couch while Olivia offers me a drink, chattering away about her school, the part she has to memorize for a play and the irritation of having a little brother. In the 8 1/2 years that have passed since I was her nanny she has morphed from stubborn toddler into a little lady. And a spunky one at that. Of course, the overwhelmed and frustrated 19-year-old is also long gone. We are about to we start the ultimate Italian tradition – that of sitting around a table and sharing a meal. The menu? Una bella bistecca fiorentina, l’insalata fresca e pane fiorentina (a beautiful Florentine steak, fresh salad and Florentine bread – the kind without any salt). As is tradition, the meal will end with fruit (with a nod to my obsession to the delicious nespole fruit) and, of course, un dolce (dessert). As we progress through each course, I can feel the lines shifting from “former employee” to “family friend.” Laughter reigns as we catch-up with the details of our lives: they inquire about my work, pester me about why I’m not already married and jokingly offer to send Olivia back to DC with me, while I quiz them about the family members I had known, the state of their new business and tales of all the other “ta-tas.” As the food and drink flow so do the stories of the summer I spent with them. I can’t help but cringe at some of them – how young and inexperienced I was, how many things I should have done differently – yet I am proud of who much I learned and grew over the course of a summer. Olivia sits fascinated by a time in her life that she barely remembers and though I have a hard time reconciling this 11 year old with the 2 year old I took care of so many years ago, I am delighted with the opportunity to get to know her all over again. We linger over the dolce, content to be reunited and warmed by so many pleasant (or, at the very least, humorous) memories. Though it is late into the night, and Olivia and her brother droop drowsily over their plates, there is a reluctance to say good-bye. Though my summer with the Ferrucci’s was one of the hardest of my life, that night, around that table, I am forever grateful to this family. For opening up their home, for allowing me the opportunity to truly LIVE in their country, and for shepherding me through an experience that will forever remain special in my life. 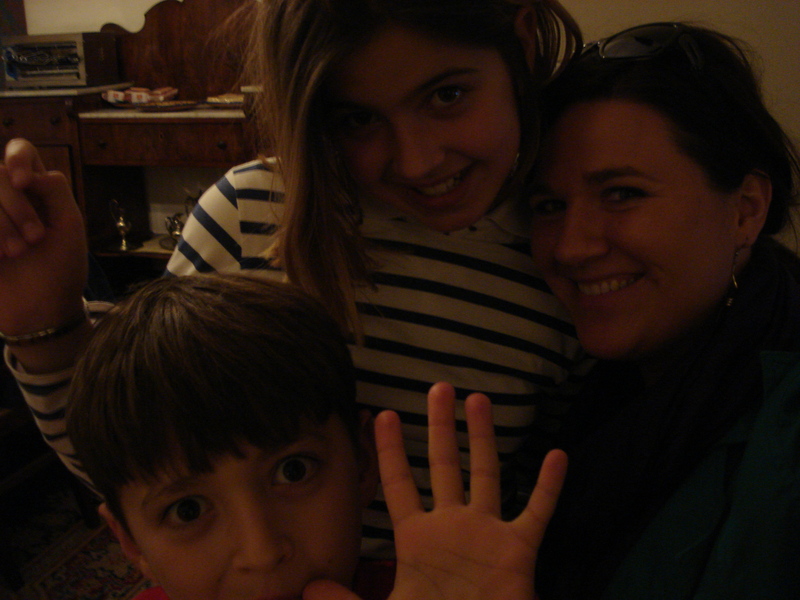 This entry was posted in 2010, Au Pair, Choices, Ferruccis, Florence, Italy, Job, Nanny, Olivia and tagged adages, Au Pair, dinner, Italian, Italy, meal, memoir, memories, Nanny, old friends, old sayings, reacquainted, relationships, travel. Bookmark the permalink.